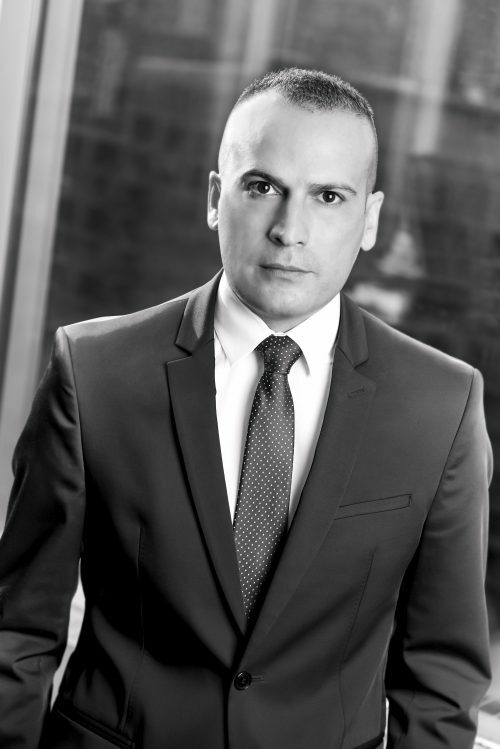 David Raposo joined the firm in 2006 and became a partner in 2013. Since his call to the bar in 2004, David has restricted his practice to the defence of insurers with an emphasis on first party accident benefit disputes. He represents insurers at all levels of Court in Ontario as well as the Licence Appeal Tribunal. David is the Chair of the Canadian Defence Lawyers Accident Benefits Substantive Law Committee. David attended the University of Windsor and obtained an Honours Bachelor of Arts degree in both Criminology and Psychology in 2000. He continued to receive his Juris Doctor (J.D.) degree from the University of Windsor in 2003 and was called to the bar in 2004. David also successfully completed the Intensive Trial Advocacy Course at Osgoode Hall Law School in 2006. Co-Chair, “Has the CAT world become a CATastrophe?”, Medico-legal Society of Toronto, annual program on catastrophic impairment, February 27, 2019. Speaker, “Insurer Examination Notices, What Is And What Is Not Required”, Ontario Bar Association, Accident Benefits Update, March 20, 2018. Babakar v. Brown: Divisional Court Panel Confirms Cross-Examination of Experts Best Left for Trial, Written for Medical Legal Society of Toronto, Spring 2010. Motions to Compel Videotaping Medical Assessments: A Fine Art – A Summary of Relevant Case Law, Written for Dutton Brock LLP Firm Seminar, Winter 2009. Co-Op v. Y.H.C., Final Decision, Tribunal Number 18-000813/AABS, 2019 CanLII 22194 (ON LAT). Applicant v. Intact Insurance, Reconsideration Decision, Tribunal No. 17-004109/AABS, 2018 CanLII 130843 (ON LAT). Co-Op v. H.L., Final Decision, tribunal No. 17-006816/AABS, 2018 CanLII 110950, (ON LAT). Warsame v. State Farm Mutual Automobile Insurance Company, FSCO A14-006546. Aslan et al. v. State Farm Mutual Automobile Insurance Company, 2016 ONSC 2725. Babakar v. Brown, 261 O.A.C. 69. Babakar v. Brown,  O.J. No. 2613 (Div. Ct.). Babakar v. Brown, 95 O.R. (3d) 206. Williams v. York Fire & Casualty Insurance Co.,  O.J. No. 5625, 2007 ONCA 479. Maude v. State Farm Mutual Automobile Insurance Company, FSCO A12-03997. Jevco Insurance Company v. Gore Mutual Insurance Company, 2014 ONSC 3741. Unifund Assurance Company v. Wawanesa Insurance Company (Ellacott), Private Arbitration. Albanese v. State Farm Mutual Insurance Company, FSCO A10-000464.